1. Did you come from a cycling family? 2. At what age did you start cycling? I was 16 ( 1960) when a school friend ( Terry Walker ) who I had not seen since leaving school came round to my house on a Dawes ‘ Red Feather ‘. He had started work in the drawing office at the ‘ Revo’ company and a couple of guys there were cyclists ( Brian Pudney and Brian Hinett ) He became interested and joined the Wolverhampton Wheelers. I then persuaded my mother to let me buy a bike ( up until then I had never, ever had a bike ) so I went out and had a Dawes ‘ Hosteller ‘ which I had ‘ on the knock ‘ at 10 shillings per week. 3. What was it that made you want to pursue cycling and not take up another sport or interest? I played a lot of football when I was at school and for a time after I left. I played for the school team ( which contained 3 lads who went on to become professional footballers ) and also represented the area in the under 14’s side on a couple of occasions. I was also into running quite a bit at school, mainly cross country. I had always been interested in cycling since seeing Reg Harris on television once, but since I did not have a bike I was never involved. 4. When did you start cycling competitively? Once I had my Dawes I joined Terry and the two Brian’s in the Wolverhampton Wheelers, that was 1960 and spent the end of that year riding out to some events with them and got the bug for racing. So through the winter I ‘ trained ‘ with them and began racing 5th March 1961. 5. What attracted you to riding time trials in particular and also road races? As my mates rode mainly time trials it was natural for me to follow them. However, I did ride quite a few road races as well right from when I started. Being big and strong I suppose I have always been best suited to time trials and that’s were I had most of my successes. Although I did ride several International races in the 60’s I did not win anything major. However, as a veteran I have had a great deal of success in road racing as well as time trials. 6. Did you also dabble at track racing and cyclo-cross? I have never ridden any ‘ off road ‘ events. In the early days it was not that popular in this area so was never involved. As time went on whilst I was interested I knew I did not have the handling skills for cyclo cross. I did ride the track in the early years but not with much success, this continued until I fell off once at Aldesley, so that was the last time I rode the track. 7. You must have experimented in many different forms of training for each of the racing disciplines – which worked best for you and were you able to overlap training methods? When I started cycling the basic formulae was that you started January 1st with getting the miles in with long and hard at times training bashes at weekends. Also you went out a couple of nights in the week in the dark doing bit and bit in a group ( down the A449 from Wolverhampton to Penkridge and back or along the A4123 W’ton – B’Ham new road. Try doing that these days ! ) Once it got to March you would start racing. Over the years I have tried many variations of training but being a big bloke I have found that I can tolerate as much training as I have time for. The basis however is still the same, even to this day. Start my basic winter training mid November and work on base fitness by way of running/ turbo and road riding. This base training is always progressive both in duration and intensity, something that not all riders seem to understand, then in the last three weeks before my first race I do some specialised training. For the past 11 years I have spent the last two weeks of my ‘winter training’ in Majorca doing a mixture of long hilly rides and days of interval training with the purpose of being ready to race when I return home. 8. You also competed for other cycling clubs before you joined SCC, please include your successes with them to give the overall picture. In 1984 I was invited to join the countries top racing team, Manchester Wheelers CC / Trumans Steel. At the time this team had riders such as Chris Boardman, Darryl Webster, John Woodburn and most of the top road racers of the time. The highlights of 1984 was, over the Easter weekend I rode 4 open time trials, won all four with two of them course and event records – 1st place Anfield ‘100’ with 3.57.43 Part of the winning team in the National Championship ’25’ Welsh Competition record at 25 mile with 52.00 National vets record for 10 miles with 20.22 7th overall in B.B.A.R. The following year whilst still in the Manchester Wheelers I had to retire for the second time again due to business commitments. I had retained my 2nd claim membership with the Stourbridge CC whilst racing for Manchester Wheelers but took out first claim again in 1986. I did ride a few events in 1988 and 1989 and had several open wins each year but nothing outstanding at National level. In 1996 I returned to racing, I won several veterans road races and a few places in time trials. Highlight of 1997 was to do my first ever 19 minute ’10’ which was a national veterans record. 1998 and 1999 went by with a lot of wins in open time trials and road races. I retired from work in 2000 and this enabled me to concentrate all my time to cycle racing and to be able to train full time. As a result of this I had 25 wins in open events, recorded national veterans records at 10, 25, 30 and 50 miles and won the vets title in the first National Circuit Championship which, by the way, were promoted by the Stourbridge Cycling Club ( this was changed to the British Time Trial Championship from 2001 onwards ) The next few years passed with great success, a lot of wins both in time trial but also road races. Several 19 minute 10’s, several 50 and 51 minute 25’s , national championship wins both in time trials but also road races. In 2003, together with John Woodburn I represented the RTTC at the Duo Normand 2-up time trial in France. We could only manage 3rd place however as the two pairs that beat us were only in there 40’s ! In 2005 I won the ‘ Vets on Target Time ‘ section of the season long Rudy Project Time Trial Series competition beating my old rival John Woodburn. Also in 2005 I achieved a goal that I had set myself a couple of years before – to become the first ever ‘ over 60 year old ‘ to beat 20 minutes for 10 miles. In veterans road races that year I was almost un-beatable, winning 11 of the 12 road races that I rode and coming second to Les West in the other one. In addition, I also won the LVRC National Road Race Championship, the LVRC National Time Trial Championship and the British Time Trial Championship. 2006 continued with 17 wins in open events plus 1st in LVRC National Road race Championships, 1st in LVRC National Handicap Road Race Championship, 1st In British Time Trial Championships and several National Age Time Trial Records. Then in the August of 2006 I travelled to St Johann in Austria to ride to UCI World Masters Championships. I came away with 2 World Championship titles having won both the Time Trial and Road Race championship. 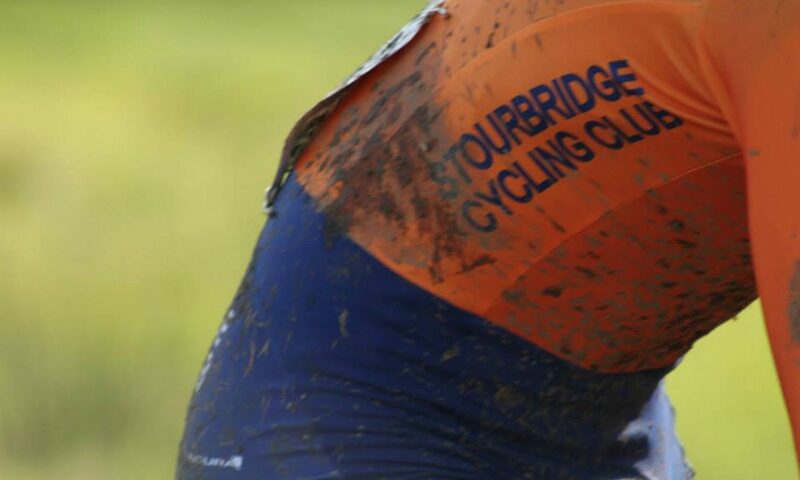 At the end of the season I was honored to be granted life membership of the Stourbridge Cycling Club. 2007 saw nothing spectacular, just enjoying riding in my World Champions jerseys. At the end of 2007 I developed arthritis in both my thumbs and decided then that this was the end of my career as riding the bike became very painful and certainly not enjoyable. At the beginning of 2008 I joined the newly formed Stourbridge Velo but retained my life membership of SCC. 2009 ended up as being quite a successful year – 1st LVRC National Time Trial Championships, 1st LVRC National Handicap Road Race Championships. 1st British Time Trial Championships. In August I went over to Austria again and won the UCI World Masters Time Trial Championship but in the road race I was caught by the leading bunch 50 metres from the line having attacked twice in the last 2 Kms. 9. What motivated you to attain your achievements and how important was encouragement from friends and family? In my adult life I have always tried to do the best I am capable of whether it was in sport or business. This has meant throwing myself completely into what I am doing, hence retiring from cycling to concentrate on business. Also, to train to the very highest levels, something that not everyone is capable of both physically and mentally. All this of course is not possible without the total backing of your family. In the early years my father was my #1 fan who would give me ‘ encouragement’ in his own particular way, such as saying ” you weren’t good enough ” if I did not win an event I had been expecting to. I owe it to him for encouraging me to try as hard as you can, even if it meant blowing up in an event. In particular, my wife Pauline who has always given her support to whatever I chose to do. In fact since winning my World titles she has been more supportive than ever. I also have been blessed with having racing friends who have given me advice and motivation when it has been most needed, not always appreciated at the time but overall it really has helped. I am also grateful for all the sponsorship I have received over a number of years, racing at national level throughout many seasons is very expensive with traveling costs etc. so any help has always been appreciated. you want to fulfill in the future? I said right from the beginning of 2009 that this would be my last season racing, and that’s the way it is. After riding approx 2250 events and winning nearly 500 of them, three world championship titles, numerous national championships, and holding many national age records I feel this is a good time to go. But, you can never say never, who knows I might come back when I’m 70 and try to beat 20 minutes again, now that would be something, don’t you think ?